Spot colours (sometimes referred to as Pantone colours or PMS colours) are hand mixed inks that represent specific (pure or mixed) colours. Where as process CMYK printing uses 4 different colour inks (Cyan, Magenta, Yellow and blacK) that overlap each other to create multicolour images. The main reason spot colours are used is because they can maintain colour accuracy throughout the print run. Refers to using of CMYK (Cyan, Magenta, Yellow, Black) inks for full colour printing. Full colour CMYK printing is used on multi-coloured designs with photographs, booklets, brochures, flyers and postcards. Specific colour inks created from colour formulas to express colours more vibrant and flat. Spot colours are commonly used on elements that require a constant appearance, such as logo or text on business cards, envelopes or letterhead. Please note: Spot colour printing may seem like a great idea, but using spot colours is a more expensive print option, due to the extra production costs involved in setting up, cleaning and changing out the inks. Because CMYK process printing uses the same four colour inks all the time, CMYK printing will always be the more cost-effective solution. As a CMYK printer we only print with Cyan, Magenta, Yellow and Black inks. We do not print Pantone spot colours or offter colour matching to Pantone swatches. 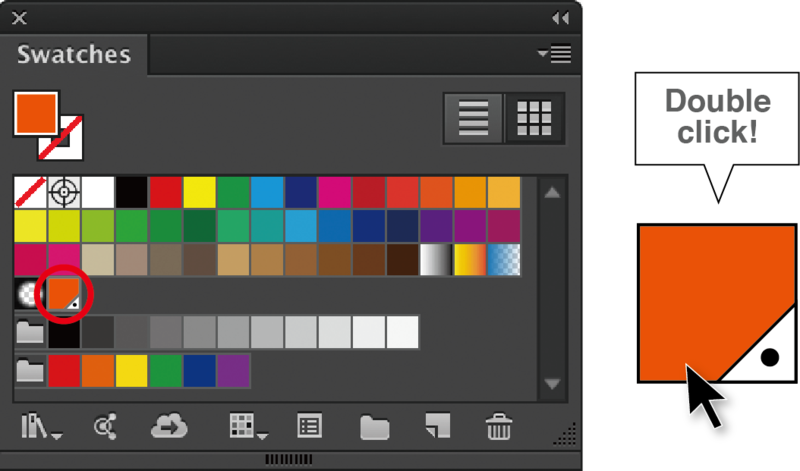 If you supply data with Pantone spot colours in it, they will be converted to CMYK process colours on our end. This may result in an unexpected shift of colours. We strongly recommend that you or your designers change any Pantone or other spot colours to CMYK process colours prior to placing your order. 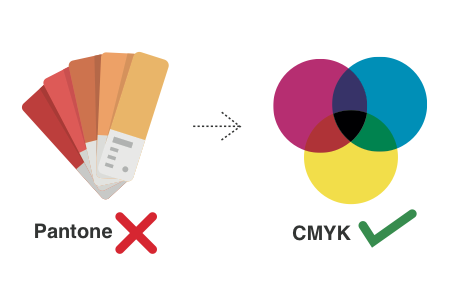 This way, you have better control over the CMYK values and how they affect your design/brand. If in doubt, please contact one of our support team before it is too late. Before you start working on a project it’s best to decide if you’re going to print in spot colours or CMYK process colours, because you can get some pretty disappointing results if you start working in spot colours then convert to CMYK half way through your project. So, how do we convert spot colours to process colours? 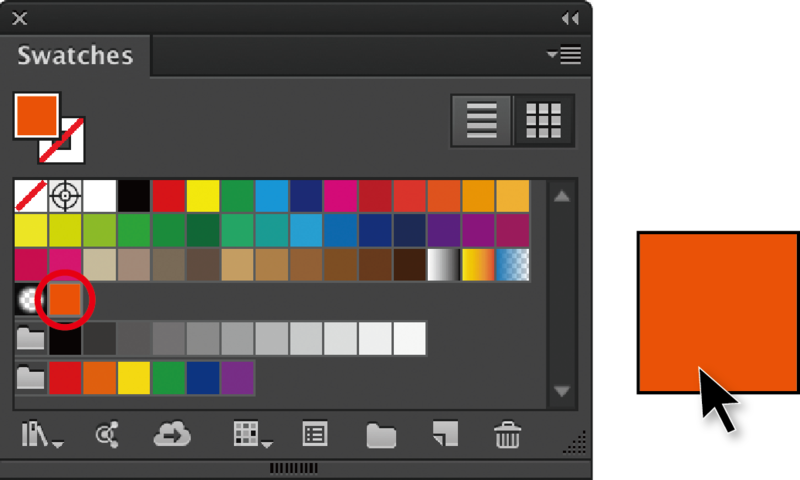 The orange swatch with the little triangle and dot in the bottom right corner (see far left) means that the colour is a spot colour. All the other colours in the panel are 4 colour process. Please note: If you only see a little triangle on the bottom right corner of the colour, that is a colour with a global attribute. If you make any changes to the colour, it will affect all other objects that are using that same colour. 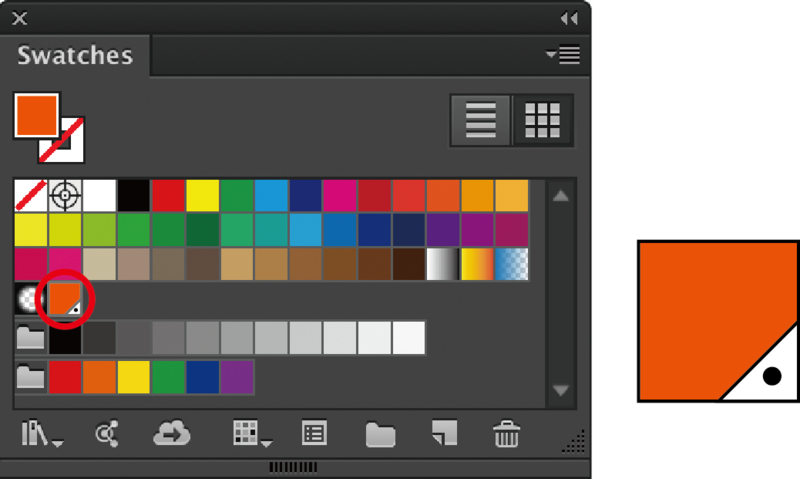 Double click the spot colour in the Swatches palette window. This will open the Swatches Option window. 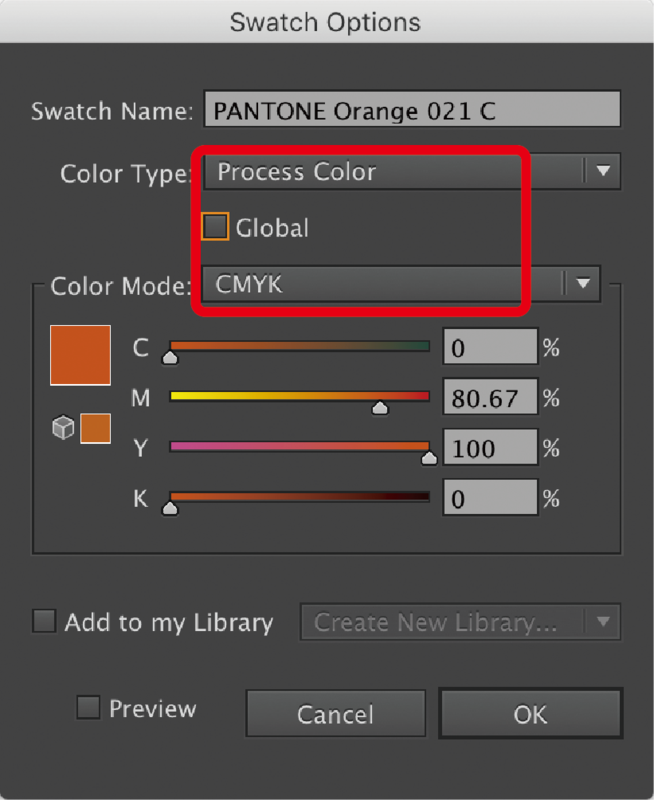 From the drop down menu next to Color Mode select: CMYK. 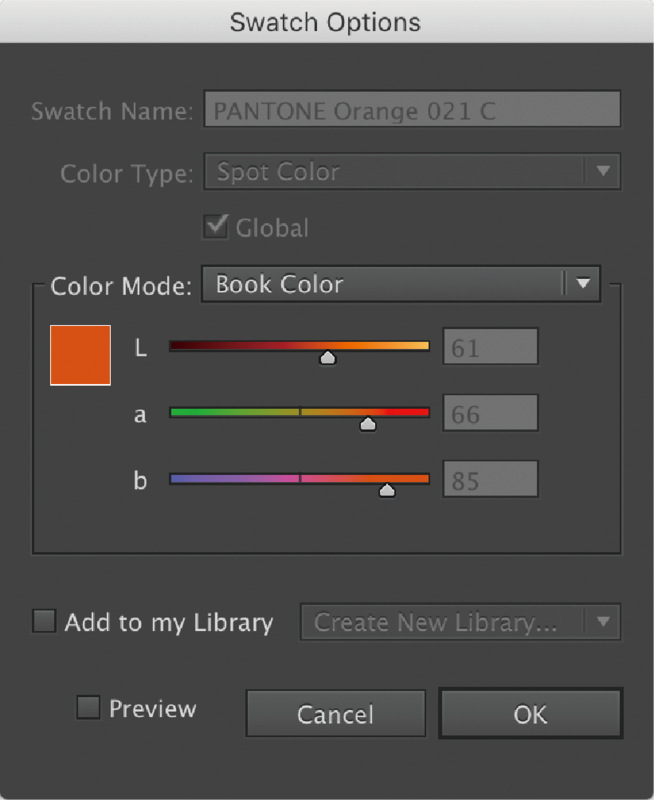 Next, from the menu next to Color Type, select Process Color. Now, uncheck where it says Global. Press OK. (Here you can also change the colour name). converted into a CMYK process colour. Well done!